Who should not take Fycompa? Perampanel is used with other medications to treat certain types of seizures (including focal and generalized tonic-clonic seizures). Perampanel belongs to a class of drugs known as anticonvulsants. What conditions does Fycompa treat? Tell your doctor right away if you have any serious side effects, including: blurred/double vision, frequent falls. List Fycompa side effects by likelihood and severity. Before using this medication, tell your doctor or pharmacist your medical history, especially of: liver problems, kidney problems, mental/mood disorders, personal or family history of a substance use disorder (such as overuse of or addiction to drugs/alcohol), galactose intolerance (such as Lapp lactase deficiency or glucose-galactose malabsorption). What should I know regarding pregnancy, nursing and administering Fycompa to children or the elderly? 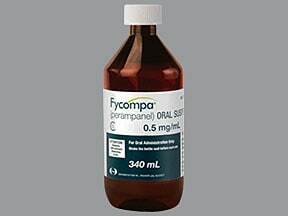 Does Fycompa interact with other medications? If you miss a dose, skip the missed dose and resume your usual dosing schedule. Do not double the dose to catch up. If you miss more than 1 dose, contact your doctor for more information. 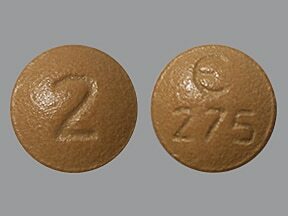 This medicine is a orange, round, film-coated, tablet imprinted with "2" and "logo and 275". 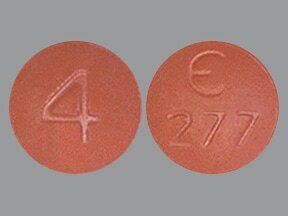 This medicine is a red, round, film-coated, tablet imprinted with "4" and "logo and 277". 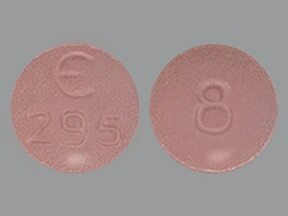 This medicine is a pink, round, film-coated, tablet imprinted with "6" and "logo and 294". 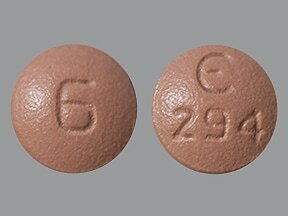 This medicine is a purple, round, film-coated, tablet imprinted with "8" and "E 295". Are you considering switching to Fycompa? How long have you been taking Fycompa?